When it comes to the industrial sector, many processes keep things rolling. However, there are few skills as important as welding. By using harsh, advanced chemical reactions to join metal, you can tackle just about any fabrication task at hand. In particular, oxy-acetylene welding makes use of extreme temperatures brought on by gaseous reactions to get the job done. If you’re interested in learning more about this process and the welding supplies needed to perform it, take advantage of the following guide. This unique welding process combines acetylene with oxygen to produce thermal energy, which can cut, melt, fuse, or braze metal pieces. 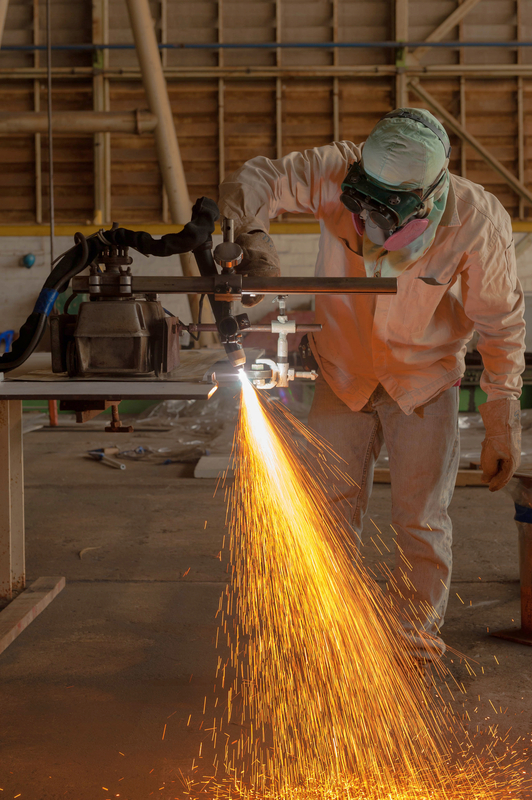 When combined with oxygen gas, acetylene torches can reach up to 5,620 degrees. This method is convenient because it doesn’t require the use of electricity, and since the welding supplies are portable, you can perform it in deserted or rural areas. What Welding Safety Supplies Do You Need? When conducting this welding method, it’s crucial to have the protective apparel and equipment to shield yourself and your environment from the volatile chemical reaction. To start, find a quality pair of goggles with a minimum shade level of five to shield your eyes from the bright flame. You’ll also need welding gloves, a handheld striker for lighting the acetylene, and a cylinder cart for organizational purposes. Oxy-acetylene welding methods can be separated into four main categories—cutting, melting, fusing, and brazing. While the first three are primarily self-explanatory, brazing refers to the joining of two metal pieces with the addition of a filler metal with a lower melting point. The filler is heated up with the torch and moved into the solid joint to cement the connection. Because of the many ways in which you can use oxy-acetylene welding, its applications extend well into the automotive, aircraft, naval, and manufacturing industries. From fusing the sections of a hull to cutting beams for a roof, there are countless ways to use welding. If you’re interested in learning more about oxy-acetylene welding, get in touch with Wholesale Auto Parts of Morehead, KY. They are proud to provide a wide range of welding equipment, as well as the supplies you’ll need to practice this gaseous method. To learn more about their products and services, including hydraulic supplies, visit the website. You can also call them at (606) 784-4147 to speak with a team member.